Every Thanksgiving during dinner, which usually turns into a late lunch, my mom makes us all go around the table and say what we’re thankful for. When I was younger it use to be simple or silly things like “I’m thankful for my toys” or “I’m thankful for my friends.” Both of which are true, but since I was about 8 or so, I didn’t think that diving deeper into what I was thankful for was necessary. Now that I’m a twenty-something-year-old girl, I think about what I’m thankful for daily. It’s something that helps me get through my rough days and appreciate the good ones. One thing that I am extremely thankful for is my family. Lord knows how crazy, loud, annoying, funny, and sarcastic we are and I thank the Lord everyday for them being in my life. I wouldn’t want to have it any other way. Without my family, I wouldn’t have the humor that I have, the life I have, or the love I have for others. They have all taught me how to love at all times and how to find the silver lining when everything is going wrong. Another thing that I’m thankful for is the fact that I can get an education. Onlineuniversities.com wrote an article about how 25 countries still do not allow women to get an education. That means that thousands, if not millions, of girls are not allowed to read, write, or just have the pleasure of learning. Being able to go to a university is something that I will always cherish. Though I may not be the best at learning, I am so grateful for the fact that I get to have an education, because so many women out there do not. I’m also thankful for my sorority, my friends, and my boyfriend. I know that sounds so cliché, but they are all such blessings in my life. Without my sorority, Sigma Alpha Omega, I have no idea where I’d be. God truly put all of them in my life at just the right time. My friends are always there to pick me up when I’m down or to double me over with laughter daily. I am so lucky to have such amazing friends who would drop anything to be there if I needed them. I am blessed for my boyfriend because he makes me smile when I’ve had a bad day, he shows how much he cares for me, and he is just all around a fantastic human being, even if he doesn’t believe it himself. I’m thankful for all of the big moments we have together but even more thankful for all of the little moments. He’s pretty cool in my book. The last thing, but most important thing, I’m thankful for is being able to love and learn about God. Words cannot even describe how much this means to me. There are SO many countries that do not have freedom of religion, and thousands of Christians die everyday for sharing the love of Jesus Christ to others. We are so blessed to live in a country were we can worship the King of Kings openly, proudly, and without secret. Even though it might not be the popular thing to do at all times, we have it made compared to other countries where even speaking Jesus’ name will get you injured or worse. Therefore, since we receive a kingdom which cannot be shaken, let us show gratitude, by which we may offer to God an acceptable service with reverence and awe; for our God is a consuming fire. ~ Hebrews 12: 28-29. I challenge you to think about this verse as we get to the holiday season. 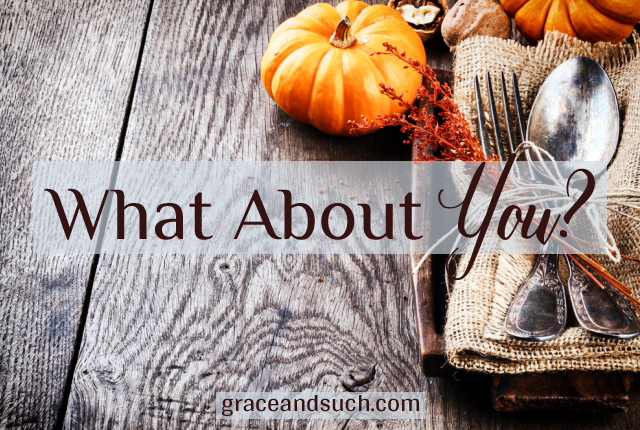 I also challenge you to ask yourself this question: What are you thankful for? Annoying? What?? 🙂 And I’m thankful for you. Thankful for the next generation of leaders/disciples. Such hope y’all give us old(er) peeps for our future. Have you read Alcorn’s Safely Home? That was my first real experience even thinking about the persecuted church. I had no idea that even was a thing until I read his book (about 15 years ago). Also, my son is studying history, & my daughter shares your mom’s name & yours, too (middle). So I guess that means we’re like part of the sarcastic, amazing family. Or something like that. ? Can you guys come for Thanksgiving then?? 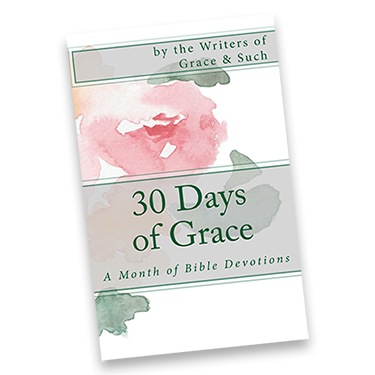 Gretchen – loves that book! I still think of it from time to time. Had an impact. Katie – great post. Love that you are aware of the blessings that we so often take for granted. And thank you for describing so accurately what being a Thompson is all about! Thank you for the reminder of what we have as women in the United States. What an encouragement to hear your voice, the voice of the next generation. I take your words as a challenge to continue to find ways to equip and empower women to go into the world and make a difference for Jesus.